The jury is no longer out—introverts and extraverts are two very different creatures. Of course, the fact that you are reading this suggests you probably already knew that. But merely recognizing this fundamental bifurcation of human personality does not equate to an in-depth or useful understanding of it. As with any area of study, we must be willing to dive deeper to retrieve the pearls of wisdom personality typology has to offer. With that said, it would be disingenuous to suggest that this post will in any way amount to a comprehensive analysis of the introvert and the extrovert. In fact, my plan is to relegate the typically center-stage extraverts to the background of our analysis (sorry extraverts! ), invoking extraversion primarily as a tool of contrast for better understanding introverts. 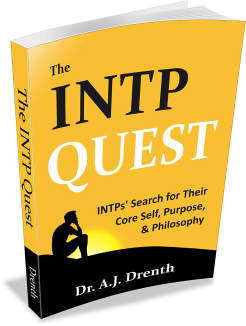 Our discussion of introverts will also be circumscribed, focusing primarily on their foremost existential concerns (e.g., their search for their core self and purpose) and dilemmas (which we will eventually summarize as a single dilemma). If you’ve ever written a thesis or scientific paper, you are likely familiar with the section called “statement of the problem.” While this statement may only consist of a sentence or two, it is usually preceded by a substantive review of the literature that provides the requisite background and context for understanding it. Similarly, in this discussion, we will explore the context surrounding introverts’ chief existential concerns. We will not focus so much on ameliorating those concerns as we will on outlining their nature and conditions. After all, finding good solutions first requires a solid understanding of the problem itself. Like any other personality characteristic, there are myriad ways of defining and measuring introversion, such as one’s level of shyness or need for time alone. For our purposes, however, we will primarily approach introversion from a Jungian perspective. Jung viewed introversion and extraversion as opposite directions of channeling one’s mental resources. Namely, he saw introverts as preferring to direct and maintain their focus inwardly, whereas extraverts tended to orient their gaze outwardly. In short, he saw the I-E distinction as a matter of inner versus outer. Jung defined his eight personality types (later expanded to 16 by Myers-Briggs) according to these eight functions. For example, an individual who primarily used thinking in an inner-directed way was typed as an introverted thinker. Hence, Jung ultimately viewed introverts as individuals who relied on an inner-directed form of thinking, feeling, intuition, or sensing. 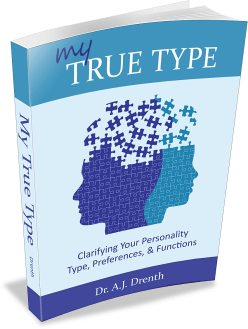 As discussed in my latest book, My True Type, due to their propensity to look inward, introverts are more independent and self-reliant when it comes to guidance and insight. They are inclined to trust themselves—their own thoughts, feelings, intuitions, or sensations—more than they do external sources. This is why Jung associated introversion with subjectivity. In his view, introverts relied heavily on subjective (by which he meant inwardly-derived) perceptions and judgments. Extraverts, by contrast, are more inclined to judge and perceive by way of external data and criteria. They look to others or the world around them to learn of the latest and greatest trends, ideas, and practices. Sensing that there is strength in numbers, they strive to keep a pulse on what is popular and broadly supported. The Danish philosopher, Soren Kierkegaard, in his On the Dedication to That Single Individual, clearly understood the reality and significance of these two different approaches: “There is a view of life which holds that where the crowd is, the truth is also…There is another view of life which holds that wherever the crowd is, there is untruth.” An introvert himself, Kierkegaard was no fan of following the crowd. Introverts are much slower to trust popular sentiment or to hop on the latest bandwagon. They believe that people can be easily misled and may fail to recognize the difference between truth and appearances. Okay, so here’s where things start to get particularly interesting. Because of introverts’ tendency to look within and go against the grain, they are confronted with the problem of identity much earlier in life than extraverts. For young extraverts, things are pretty simple and straightforward—be whoever you need to be to fit in; just mirror and mimic the outside world. Introverts, by contrast, are less interested in mirroring the outside world, instead aspiring to mirror and express their inner selves. Introverts’ first order of business is to understand and to some extent define who they are. Of course, extraverts self-define too, but their definitions are subject to change according to time and circumstances. Introverts strive to self-define apart from their surroundings. They believe they have a unique and immutable “core self,” one that remains steady and consistent apart from time and place. Unfortunately, understanding and defining their core self often proves more challenging than they anticipate. Many find that it takes years, sometimes decades, for their self-concept to crystallize in a satisfying and enduring way. But why is it, exactly, that introverts feel it so important to understand and define themselves? It is important because something within them tells them they must find their own way. For introverts, the idea of blindly following societal prescriptions is tantamount to self-rejection. It feels like sacrificing their individuality for the sake of the collective machine, like selling their soul. Averse to following the pack, they feel compelled to blaze their own trail. That much is clear. But where and how should they start paving that path? Should they head east or west? This is where a good dose of self-knowledge starts to seem imperative. It’s almost as though their search for direction and their search for self go hand-in-hand. Why? Because for introverts, the self is the map. It is a map of who they are, one which provides critical clues about the direction they need to go. Therefore, the key question for introverts (especially early in life) is: How can I know or define myself better? Authenticity is another of introverts’ foremost concerns. Simply put, authenticity means staying true to themselves, even amid pressure to do otherwise. 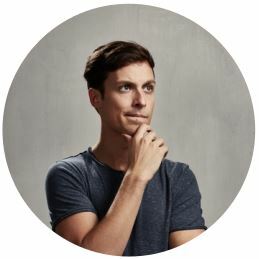 To the onlooker, introverts may seem to possess a subtle yet real rebelliousness or stubbornness, the sense that they cannot be swayed or moved from without, especially if their core values or principles must be compromised. From the introverts’ standpoint, however, holding firm is not so much an act of rebellion as one of authenticity, of being true and loyal to themselves. With that said, authenticity is rather meaningless concept without a clear sense of self. Without the self, there is nothing to follow, nothing to represent. So although authenticity is undoubtedly important, ascertaining self-knowledge is still the introvert’s first and foremost priority. While childhood certainly brings its own set of challenges for introverts, their most trying period of life is typically early to mid-adulthood. As children, many things are pregiven. They have little choice but to attend school and otherwise follow their parents’ lead. But things change, often in a mighty way, when they no longer find themselves under their parents’ wing. Once on their own, introverts are confronted with a vast sea of choices and possibilities. Not only do they see myriad opportunities for new experiences, but also an array of potential identities and vocations. Although introverts may dream or fantasize about having complete freedom, trying to navigate the near infinite choices of adulthood can leave them feeling paralyzed or overwhelmed. Some may even find themselves longing to return to the ease and comforts of childhood. But they can only reminisce for so long before reality demands that they deal with their current state of affairs. And this means reengaging with their most pressing questions: Who am I? What should I be doing? What do I want out of life? If they could only answer those few questions, they sense that things would be easier. If they could only tune out the noise of the world and hear their own voice, they could move forward with greater confidence and conviction. The decision to “find themselves” is an important one for introverts. Not only can it serve as a much needed focal point for their attention and energies, but also as a source of strength, comfort, hope, and vitality. The basic sentiment behind their search for self goes something like this: “No matter how bad or confusing things are right now, once I find myself, things will get better.” This thought alone can serve as a bulwark against many of the storms and challenges they face in adulthood. To this point, we’ve painted introverts (and extraverts) in a rather monochromatic way for the sake of highlighting their core propensities. What we have yet to discuss is the fact that introverts have extraverted needs and desires that must also be factored into their decision-making. Here we see that while INTPs introvert their thinking (Ti) and sensing (Si) functions, they extravert their intuition (Ne) and feeling (Fe) functions. 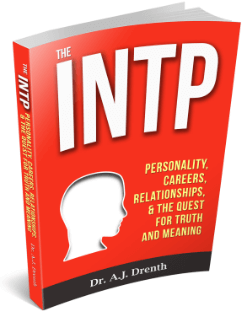 What this means, in the context of our discussion, is that there are very real parts of the INTP (i.e., their Ne and Fe functions) that are wired to operate in an extraverted fashion. Moreover, if the needs of these parts aren’t adequately met, INTPs are sure to feel incomplete and unsatisfied with their lives. The same holds for all introverts with respect to their auxiliary and inferior functions. Broadly speaking, the extraverted functions prompt introverts to consider their relationship with others and the world at large, including the way that others perceive them. More specifically, their E functions may inspire them to pursue dreams of status, wealth, fame, love, or collective harmony. These extraverted concerns often come into direct conflict with those of their introverted functions, engendering a profound sense of inner tension and division. When their extraverted functions come knocking, introverts are forced to consider a broader range of factors and values. This disrupts their introverted agenda and impels them to redirect their gaze toward a less familiar and less comfortable world. 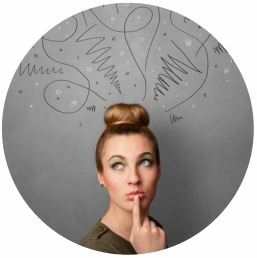 However harsh or intimidating it may sometimes seem, the extraverted world can also be a source of great intrigue and delight for the typically self-contained introvert. Introverts can find it refreshing (at least for a while) to lose themselves in action, conversation, culture, or novel sensations. Not only can these experiences can be enriching and energizing in the moment, but they can serve as raw material for future periods of contemplation. Hence, most introverts come to appreciate how extraversion, especially in moderation, can inform and enrich their lives. The number of options, possibilities, and problems in the world can be intimidating and overwhelming. The search for self can prove a helpful antidote to this, providing a renewed sense of control, hope, purpose, and focus. Extraverted engagement can serve as a refreshing contrast to introverts’ typical mode of operating. While these insights are undoubtedly of great utility and value for introverts, there is at least one elephant in the room that we have yet to discuss—outcomes. How is it that we go about evaluating the success of our lives, relationships, and work? We assess the degree to which the reality of our lives squares with our ideals and expectations. But there are actually two types of reality, two very different sets of criteria for evaluating outcomes. There is an introverted approach and an extraverted approach. The introverted approach is characteristically subjective. On this view, success or value is determined in a way that is relative to the self. So if an introvert is personally pleased with a given outcome, it is deemed successful, regardless of how others respond. The focus is on intrinsic value, the satisfaction enjoyed by the individual apart from external considerations. The extraverted approach, as you may have guessed, uses external criteria to evaluate value and success. The notion that “the market determines value” is a good example of this line of thinking. In other words, from the extraverted perspective, value is set and determined externally and collectively. It is, in effect, a group decision. In light of the E-I tension outlined above, introverts (and extraverts) can struggle to navigate between these two approaches. If you believe you could be satisfied with a strictly introverted approach, consider this question: Would your motivation to practice your passion change if you knew that no one else would ever see, value, or acknowledge it? Therein lies the difficulty. Without some prospect of extraverted rewards, introverts may feel apathetic and listless. They may struggle to find the motivation to act, perhaps plagued by the thought: “Why should I even bother?” The truth is that even the strongest of introverts want their lives and work to be valued by others. It is also true for many introverts that, once they taste the sweet nectar of extraverted success, it can be difficult not to want more. Indeed there is no shortage of introverts lusting for power, fame, or wealth. These things can be deeply addicting, like crack to the ego. But no addiction is without its risks and dangers. Introverts focused on the pursuit of external gain put their soul and their authenticity at risk. Although doing so may feel good for a while, they may eventually find themselves burdened by feelings of guilt or nihilistic thoughts. How will I make money? Can I make enough money practicing my passion? If not, am I willing to perform menial or mindless work for the sake of a paycheck? Will I ever find a romantic partner or be capable of supporting a family if I don’t make more money? How much of myself am I willing to give to others? What if they demand too much of my time and energy? How much am I willing to compromise? 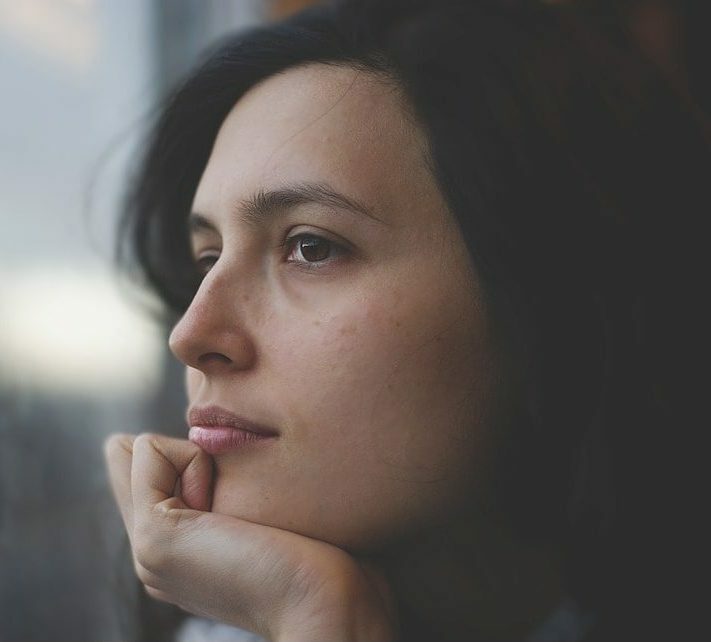 Together, these questions and concerns constitute the introvert’s dilemma. The dilemma centers on the degree to which introverts are willing to compromise their core introverted values and interests, including their search for self, in order to satisfy their extraverted concerns. This dilemma engenders an inner tension which is often experienced as anxiety or indecision. It also impels them to reflect on their lives and consider whether they are living optimally and whether their lives are properly balanced. As I stated at the outset, our primary goal was to understand the nature and context of introverts’ foremost existential concerns and dilemmas. We identified the search for self as fundamental to the introvert’s program. But what constitutes the introvert’s self? Is it limited to their introverted needs and desires, or is it bigger than that? Once introverts concede the necessity of considering their extraverted needs, they find themselves in a perpetual state of tension, torn between their inner and outer concerns. This leaves them with a dilemma, one that doesn’t admit a quick, easy, or simplistic solution. Again, the dilemma is this: How can they satisfactorily reconcile their introverted and extraverted needs and desires? Fortunately, navigating the competing forces inherent to the human personality happens to be one of the central concerns of Jungian typology, as well one of our primary objectives here at Personality Junkie.